This is a plug for my friend, Richard Carr, who created this innovative program, KeepAndShare. KeepAndShare is the ideal way to create and share documents among friends and work colleagues. * Ensure your data is safe. I am a subcriber, and a believer in the usefulness of KeepAndShare. I use it mainly for posting large photos for my family members to view. Most of the stuff which I want only a limited number of people to see is placed in my KeepAndShare account. That is one aspect of KeepAndShare that I really appreciate. I can make anything I want on my account as public or as private as I want. 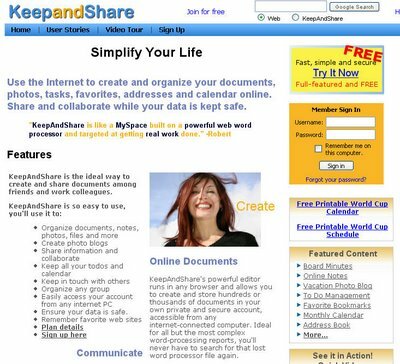 Every KeepAndShare page is private and password protected by default - only you can see them. However, you can share each page and folder with specific people (these shared pages are still password protected and only visible to the exact people you specify), or you can share pages publicly with the entire world. I have a list of bookmarks, and when I travel overseas (without my laptop) and want access to my bookmarks on a friend's/relative's computer, it is right there available for me to use. KeepAndShare has a lot more useful purposes than I am using it for right now. The sharing of documents and the ability of the people in your group to edit it is something I find very attractive. The name "Richard Carr" sound familiar. Was he running something called "Carr Software" a while back or something? Could be Richard's brother, Robert. He is in the software development business in San Francisco. I don't exactly the name of Robert's business. issshhh, salah nya tadi, I mean I don't exactly know the name of Robert's business. Haha, ok. 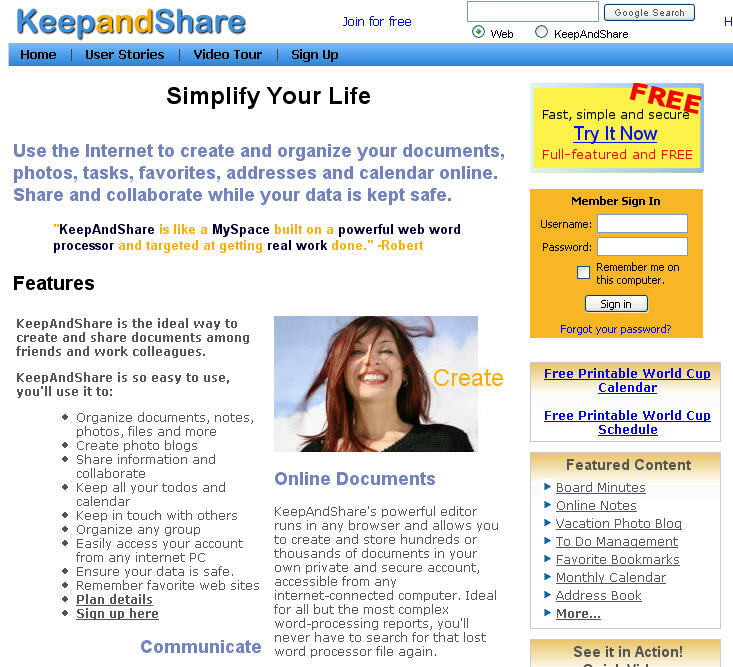 Thought the name sounded familiar.. well it's nice to know that he's developing KeepAndShare.